Dr. Taj Khan has been living in Weehawken for the past 15 years. Wanting more living space for his wife and three young children, the plastic surgeon didn’t look beyond the township’s borders, but rather to its spectacular waterfront where they purchased a new condominium at Avora. Avora’s incomparable location on the waterfront — just steps from the Port Imperial Ferry terminal, which offers a convenient 8-minute commute across the river — was a major factor for the couple, particularly Khan’s wife Natalia Volkodaevah, an actress who travels frequently to Manhattan to audition or perform. Avid outdoor enthusiasts, the family is looking forward to jogging and biking on the milelong waterfront path and taking advantage of the numerous parks, ball fields, running track and other recreational pursuits that have helped transform the Weehawken waterfront. Coming from an industrial warehouse conversion, Khan found Avora’s modern design an aesthetic and appealing departure from where they were living. 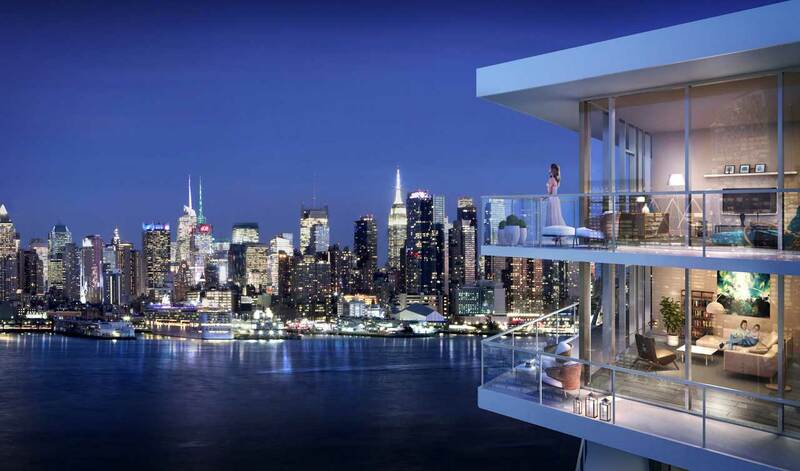 “The finishes are just beautiful and the views will be incredible,” said Khan of the eighth-floor home the couple purchased with a large balcony and views of the Hudson River and Manhattan skyline.